Marilyn Zeldin Kahn is a member of the Attleboro Arts Museum, Boston Museum of Fine Arts, National Museum of Women in the Arts and the Fuller Craft Museum. 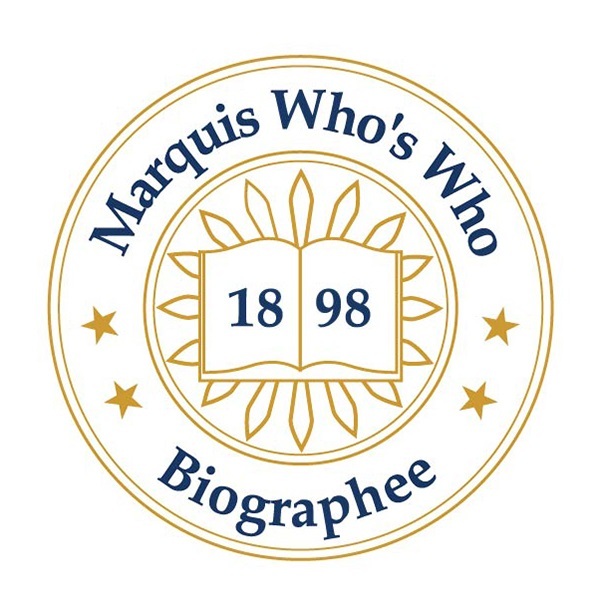 SHARON, MA, September 13, 2018 — Marquis Who's Who, the world's premier publisher of biographical profiles, is proud to present Marilyn Zeldin Kahn with the Albert Nelson Marquis Lifetime Achievement Award. An accomplished listee, Ms. Zeldin Kahn celebrates many years' experience in her professional network, and has been noted for achievements, leadership qualities, and the credentials and successes she has accrued in her field. As in all Marquis Who's Who biographical volumes, individuals profiled are selected on the basis of current reference value. Factors such as position, noteworthy accomplishments, visibility, and prominence in a field are all taken into account during the selection process. Teaching studio arts classes to adults and children in Sharon, MA for more than 30 years, Ms. Zeldin Kahn is a talented artist who paints oil and water media and teaches drawing and painting. She is known for her portraits in oil and watercolor. She encourages her students not to let fear stifle their creativity. She noticed that a lack of confidence keeps many students from being innovative and experimental in their work therefore copying what they see instead of allowing their most creative work come forward. Outside of teaching in her studio, she has demonstrated painting to Art Associations, and has been known to serve as a juror for various events such as the Mansfield Art Festival and the Easton Art Festival, as well as for the Stoughton Art Association Show and the Franklin Art Association. Ms. Zeldin Kahn enjoys painting what the spirit encourages her to do. This brings her to paint portraits, flowers and landscapes, as well as religious scenes from her reading of the Old Testament. Included in several one-woman shows at the Audobon Gallery at Moosehill Sanctuary in Sharon and at Stonehill College in Easton, MA, she has also been featured in many group shows over the years, including at the Attleboro Arts Museum in Attleboro, MA, Lakeside Gallery in Sharon, The Gallery in the Square in Sharon, the Artistic Appetites Gallery in Hyannis, MA, the Wenninger's Gallery in Rockport, MA, the Perkin's Gallery in Stoughton, MA. Furthermore, her artwork has been included in many juried shows in Maine, New Hampshire and Massachusetts. The author of “Enhance Your Creativity and Break Artists Block” in 2014, Ms. Zeldin Kahn includes 139 full-color illustrations where she demonstrates how she works with students to encourage their creative style. Revealing to them and to readers those negative thoughts will often hold an artist back and recognizing how an artist can sometime sabotage their own creativity, the book helps to explore, innovate and find a painting style all their own. The book can be found on BarnesandNoble.com, Amazon.com, and many other booksellers. Ms. Zeldin Kahn is a member of the Attleboro Arts Museum, Boston Museum of Fine Arts, National Museum of Women in the Arts and the Fuller Craft Museum, is an associate member of the New England Watercolor Society, and a member and former program co-chair and past president of the Sharon Creative Arts Association. Locally, she has been affiliated as the president of the Sharon League of Women Voters and as a member and chair of the Sharon Planning Board. Honored with many First Prize Awards and other Honorable Mentions, Ms. Zeldin Kahn has been included in more than 15 editions of Who's Who in America, Who's Who in the East and Who's Who of American Women. Born in New York City, Ms. Zeldin Kahn and her brothers always enjoyed art since they were children. She remembers drawing on paper bags because she didn't have pads of paper in the house. Growing up, her brothers went into the sciences, but she remained true to the field of art. Years later, she graduated from the Traphagen School of Art and Design in New York City, followed by additional studies at the Arts Students League and the Brooklyn Museum Art School. Later moving to the Boston area, she took courses at the deCordova Sculpture Park and Museum and workshops with many artists of which she was fond. In recognition of outstanding contributions to her profession and the Marquis Who's Who community, Marilyn Zeldin Kahn has been featured on the Albert Nelson Marquis Lifetime Achievement website. Please visit www.ltachievers.com for more information about this honor.